Guacamole is chunky and flavorsome with corn, plaintain and yucca chips $11. Ceviche was too acidic. Plantains and dessert great. Happy hour ends at 7 for $7 cocktails usually $12. This 24/7 Cuban diner has saved me from many hangovers. Great vibe, even at 3am. 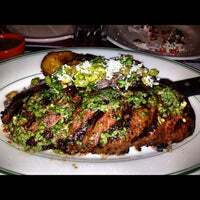 The churrasco (grilled skirt steak w/ moros and sweet plantain) is delicious; ask for rare and you will get just that. This cookie & ice cream with espresso topping is delicious. Also, what I wanted for dinner wasn't on the menu, so our server Juan Carlos created a meal for me. Service & food are excellent! 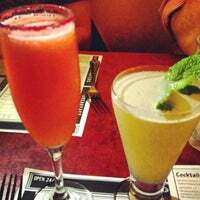 Enjoy vibrant party atmosphere at this 24/7 Cuban diner. Stuffed poblano pepper, the only vegetarian dinner option, is nothing special. But “black beans & rice” is solid, and deserts are to die for. In a wonderful development, the home made hot and habanero Toloache sauces are now available for sale to take home, $5 a bottle. Go great on the fish tacos. The roasted chicken with the cilantro sauce was a moving experience—not something you'd expect from a chicken dish. Spice and flavor permeated throughout. I'll probably frame my photo and hang it. Tuna melt sandwich with their hot sauce was good! If you change your mind on your order, be quick to tell the server because you won't be able to change it if you don't. Highly recommend the Alitas 100 Curtis, chicken wings with a chocolate chipotle glaze, the chopped chicharron salad and the Hemmingway cocktail. 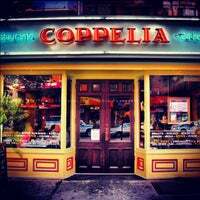 A neighborhood fave with reasonable prices & fun vibe. 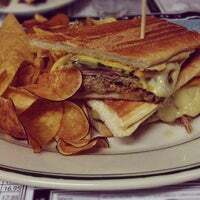 If you like burgers its imperative you try Frita Cubana! It melts in your mouth! My burger was bloody for me so if you want to avoid the bloody juices ask for well done. The beef empanadas are delish! Wow get the Mac and cheese (psss there's pork in there, fat and shoulder) because it is delicious. All breakfast options are under $10 and are available 24/7. 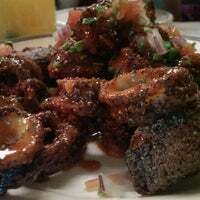 Try the oxtail empanadas, so good! This place is consistently awesome -- cheap (for the neighborhood) eats & a quality happy hour - 4pm-7pm and until 11pm on Mondays. 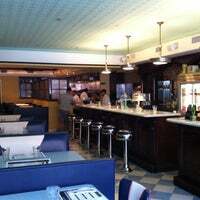 Try the Hemmingway Royale cocktail, any of the salads, & the wings! I adore this place. But don't get too swayed by all the mentions of the mac and chicharron. Focus on the cubano, steak, or huevos and then add whatever you want (and all of it) on the side. SO CROWDED, wow!!! Drinks and food though are absolutely amazing... Got some speciality drink - it was super flavourful and strong // nacho app was small loaded with all the toppings!!! I've passed this place 100x and always thought it was a diner. Nothing diner about it! 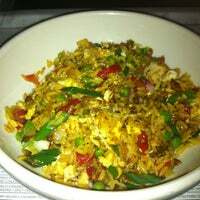 Fun crowd, service is exceptional, and food is flavorful and delicious! Found my new fav restaurant! Such a gem! You can't go wrong with the empanadas or the lomito (with eggs for brunch or traditional style for dinner). The prices are ridiculously affordable given the portion sizes and quality. Open 24 hours. Organic turkey burger with a pickle was tasty and sizeable. It's also a good choie if you're looking for something light. I had the Guayabera drink (gin) and it was okay as far as an $11 drink goes. The dulce de leche milkshake reminded me of the carefree all-american childhood I never had (because I'm not from here). 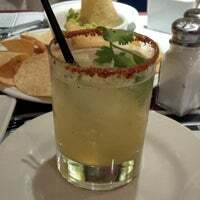 Their excellent michelada reminded me not to mix lime and milk in a meal. The yucca fries were so great and filling. Oxtail empanada with hot sauce was so good! Definitely ask for hot sauce to eat it with! Great spot. Great prices. Great food. 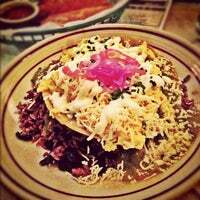 For brunch get a huevos pericos. Need to come back here for dinner to try out some of their main courses. Friendly staff and relaxed atmosphere. La gran paloma is a must! 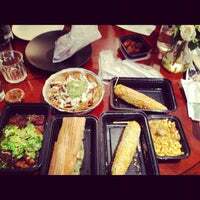 Oxtail empanadas, cuban sandwich and most of their entrees are awesome you won't be disappointed. Post-lunch indulgence: Cup of coffee & flan with a scoop of mango and coconut sorbet. This place is so cozy and welcoming. The arepa sandwich w a side of plantains is perfect. Mighty Leaf tea. Wash basin outside of bathroom and comfortable chairs. 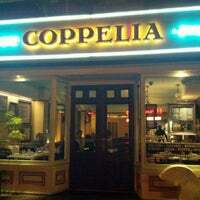 Quality food, comfortable, and open 24 hrs a day! pernil (roasted/shredded pork) is solid -- served on boiled yuca and topped with pickled onions and chicharrón. get some extra moro on the side. and a quilmes beer. Love this place! The food, cocktails, music & staff are all fabulous! 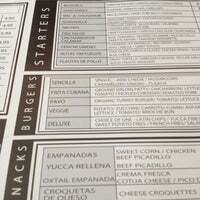 Ordered several cocktails (can't go wrong with the menu) & the churrasco. Highly recommend. Brunch 24/7. Starters, entrees, cocktails, desserts, staff, atmosphere, value = A+. Every time I'm here I order something different and it's always The Best Thing I Ever Had. Honestly my go-to when it's late in Chelsea. Consistently delicious! Great place for a date or with a small group of friends. Empanadas are amazing. Mac and chicharron was DIVINE, and some of the best yucca fries I've ever had! The cocktails were amazing as well (though the mojitos were quite sweet). Oxtail empanadas are so yummy. Ask for the red hot sauce cause they need a little spice. The goat cheese salad is one of the best I've ever had! The Grand Palomo is super good too. Best diner in the city. Food is always good, drinks are too, especially considering the price, and it's open 24/7! If you're wondering what Cuban toast is, it's lard bread worth more lard on it and it's absolutely delicious. 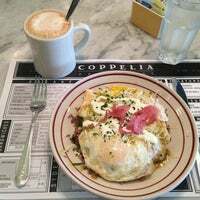 My first time at Coppelia shall certainly NOT be my last. Excellent customer service, delicious red sangria, not to mention arroz con frijoles! Muy delicioso!! This 24-hour Cuban-inspired diner serves up the expected array of breakfast plates, as well as an excellent Cubano and Mac and Cheese with Chicharron. Whatever you order will be fantastic, but the yuca fries and the huevos rancheros are fantastic. Delicious Cuban-inspired diner. Highly recommend the empanadas to start and the yuca fries to share. 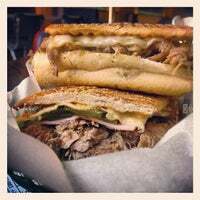 Cubano sandwich is delectable too! Get an order of the short rib nachos for the table. 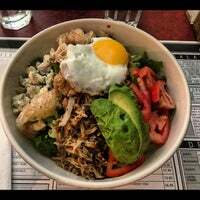 The Havana salad is a solid choice if you're looking for something on the healthier side. We specialize in Cuban and Latin food owned and prepared by celebrity chef Julian Medina, located in the west village and in the vicinity of meatpacking. The diversity of the food takes you from Havana, to Mexico City, to Caracas and more. Stop by and see what we are all about. "Try the camarones havana vieja - shrimp, fried cheese & plaintains. What more can you ask for?! A glass of the white sangría of course!" "Кукурузу брать обязательно. И делиться ей точно не захочется." "Unlimited Sangria! 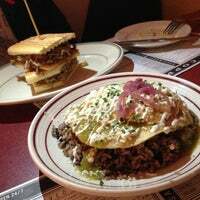 And the food is out of this world good, try the Eggs & Vaca Frita!" "Freshly made doughnuts. I love the toasted coconut donut and the Boston Creme." "Удивительно красивый парк ! Находиться посреди зданий и небоскребов . Очень красочный внутри, еще можно встретить красивые пейзажи и виды на Нью Йорк !" "mush pours the best pint of guinness in the city"